Orangutan Outreach (@redapes on Twitter) Executive Director Richard Zimmerman joins Craig to celebrate Orangutan Caring Week! 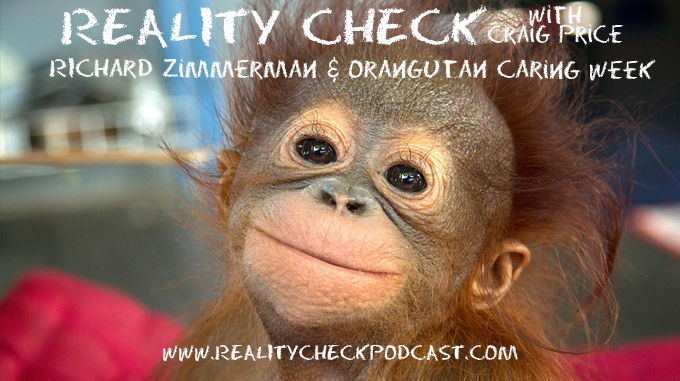 The two don’t monkey around when the talk about the plight of the orangutans. From the destruction of their habitat to illegal pet trade, orangutans have the chips stacked against them. Thankfully, Orangutan Outreach is there to help. Please donate to this worthy cause by going to http://redapes.org and giving generously.